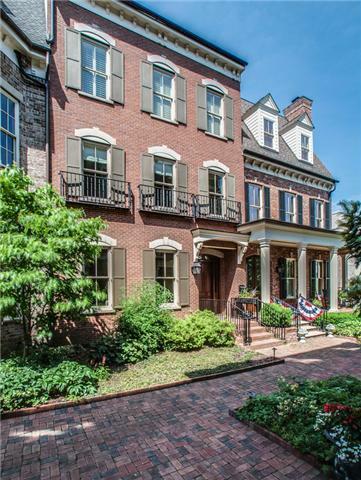 It seems as though Franklin is getting a little taste of city life with this 3,974 square foot, four story Brownstone. 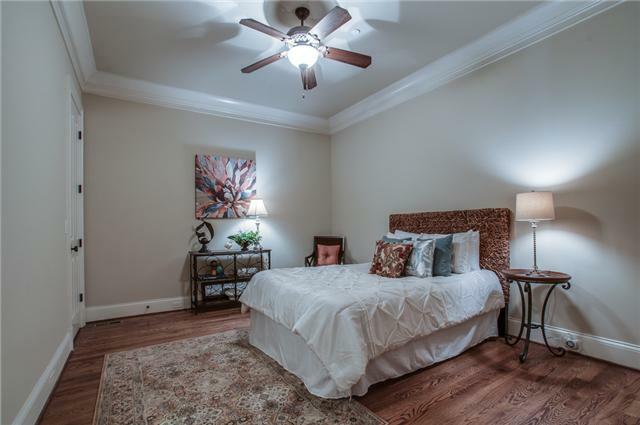 Located at 216 Emily Court, this beautiful home is perfect for the modern family who desires luxury upscale living and is priced at $1 million. 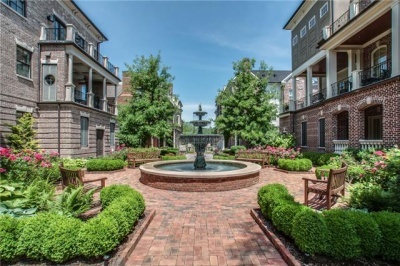 Each Brownstone is set side by side and surrounds a secluded courtyard, complete with a beautiful center fountain and benches. 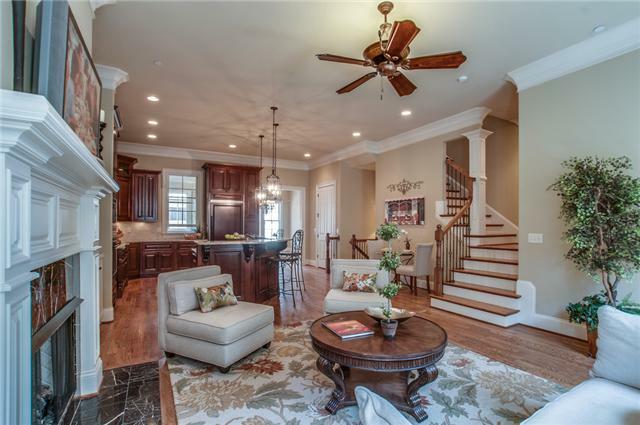 This centerpiece of the Brownstone subdivision is a feature that makes Emily Court appear transplanted straight from Brooklyn but with a cozy Southern twist. 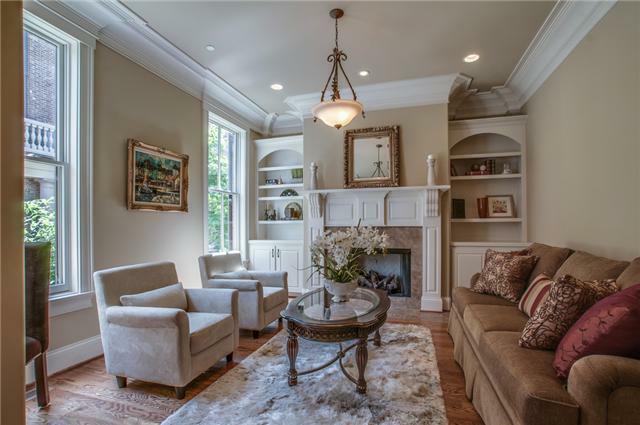 Head up the brick staircase, step inside and you are greeted by an aristocratic looking front parlor. 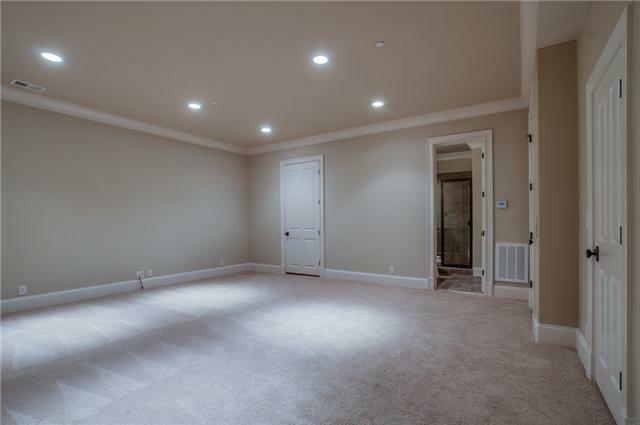 The room is cleanly trimmed with crown molding, built in bookcases, gleaming hardwood floors and features a beautiful gas log fireplace to warm this cozy entrance during those cold winter months. 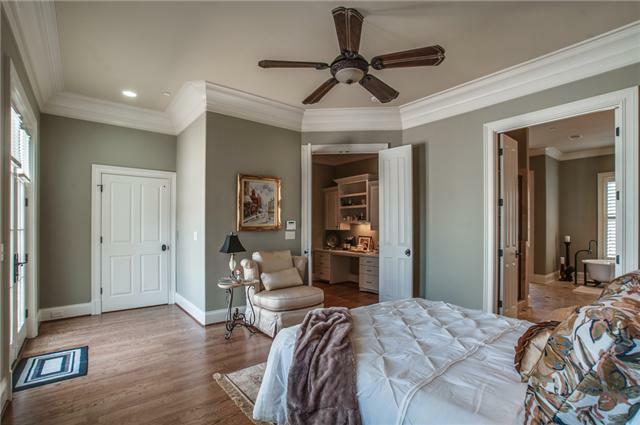 Just down the hallway you’ll find the main level bedroom which features the same beautiful crown molding and hardwoods from before. 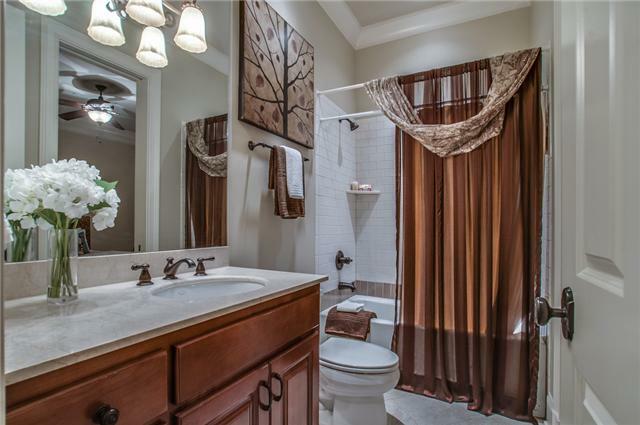 This room includes a walk in closet and full bathroom with tile floors, antique bronze fixtures, and a marble vanity. This home only grows in its elegance and comfort as you enter the heart of the home: the kitchen. The room is spacious and illuminated by rustic, wrought iron pendant lanterns and tall windows. The room serves as a kitchen and a lounge and features another beautiful gas log fireplace, tall, built in bookcases, and room for couches to make this space in the house ideal for dinner parties. 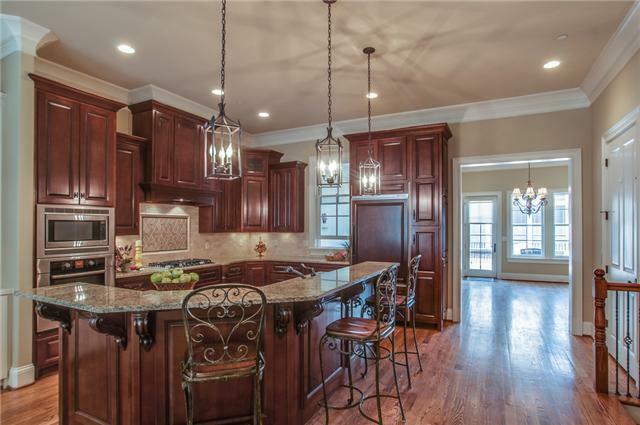 The kitchen itself features a marriage of earthy tones with its deep mahogany cabinets, hardwood flooring, and beige granite countertops with the inclusion of a granite bar top and room for bar stool seating. Amenities include a five-burner Bosch stove, oven, microwave, and cabinet faced refrigerator and dishwasher. The living and kitchen area flows perfectly into a spacious dining room with a beautiful wrought iron chandelier and French door access to the most comfortable area of the house: the skylit sunroom. The skylights in the sunroom flood the room with natural light, creating the perfect space for a morning cup of coffee and a good book. The room continues the comfort it offers with an entryway to the tiled patio terrace, complete with a stately wood pergola and room for relaxing on a warm summer evening. 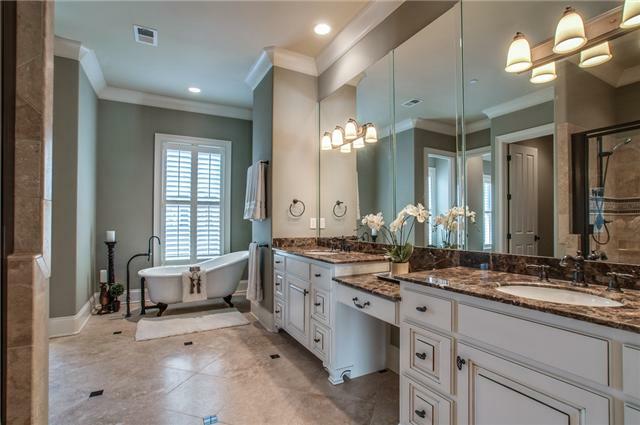 The entire third level is dedicated to the master suite, which includes a comfortable bedroom and connecting work station, complete with a desk and plenty of shelving, a spa master bath with heated tile floors, a claw-foot bath tub, and wide mirrors, and a private patio. This home capitalizes on its modern nature with an elevator that services all four levels of the home, including the spacious basement, bedroom, and full bath. Also on the main level is a hidden two car garage. 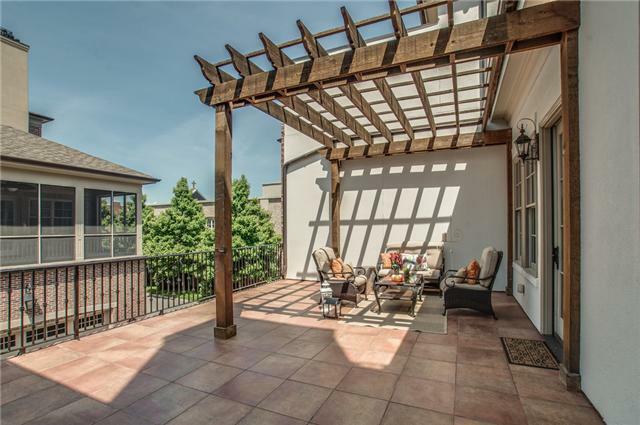 This home is the perfect place for the modern family that desires luxury living with easy access to all downtown Franklin has to offer. 216 Emily Court is within walking distance of Historic Downtown Franklin and is zoned for Liberty and Freedom Intermediate Elementary, Freedom Middle School and Franklin High School. 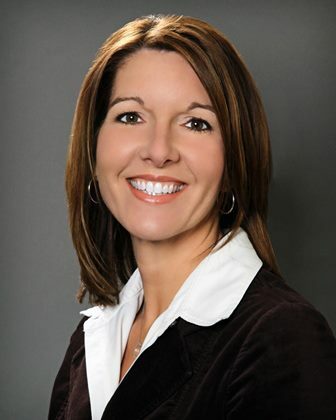 There will be an open house this Sunday, June 9 from 2-4 p.m.
Click here to see a full listing.